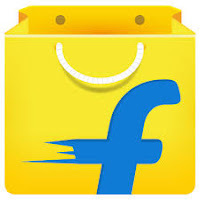 1.First Install Latest Version Of Flipkart app. 4.Now click this icon as shown in below. 5.There are many options available for inviting friends,invite with them. 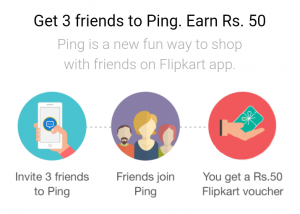 6.Once three Persons join on the ping with yours refer then you will get Rs 50 flipkart gift voucher.